Happy Birthday to Hollywood Actor Robert De Niro!!! 🎉🎉🎉All together on the count of 3 … sing!!! — Ha-ppy Birth-day to one of the most prolific and respected actors to ever touch down in Tinseltown. It’s hard to believe that Robert De Niro is now in his 70’s. I wish classic actors such as him were immortal & ageless –we’d keep him around forever. Mr. De Niro has blessed the big screens with his magnificent and unequivocal gangsterness my entire life. From The Godfather to Goodfellas to Meet the Parents, he has had one of the most versatile and extensive careers in Hollywood. Personally, I’d have to say one of my favorite roles portrayed by De Niro is probably of Jewish handicapper Sam “Ace” Rothstein in the forever classic gangster flick Casino — he totally finessed the role. The 1995 American epic crime drama film, directed by Martin Scorsese stars De Niro, Joe Pesci, and Sharon Stone. 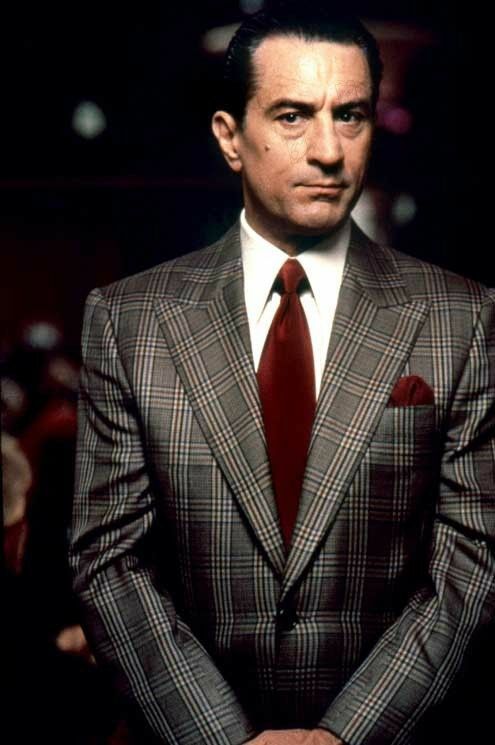 In Casino, Rothstein (De Niro) is called by the Italian Mob to oversee the day-to-day operations at the fictional Tangiers Casino in Las Vegas. In addition to starring in some of Hollywood’s leading motion pictures, Robert De Niro has also produced and directed various blockbuster projects including Prison Song, starring Q-Tip, Mary J Blige and Fat Joe. Check out this extended list of his work which dates back to the 70’s. What’s your favorite Robert De Niro role? Take the poll and join the discussion.